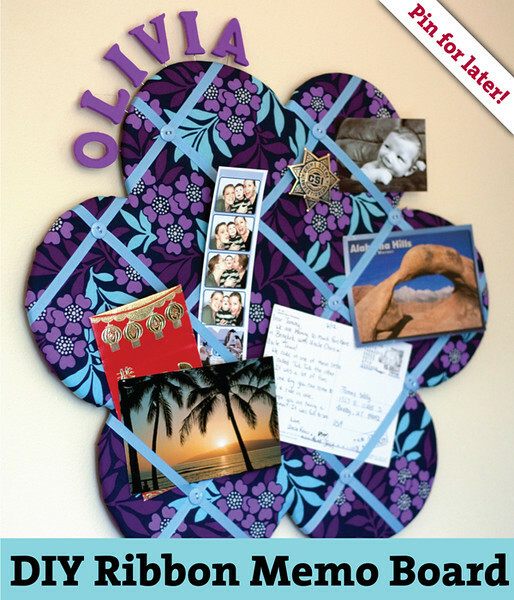 DIY Ribbon Memo Board Mama Say What?! | Mama Say What?! 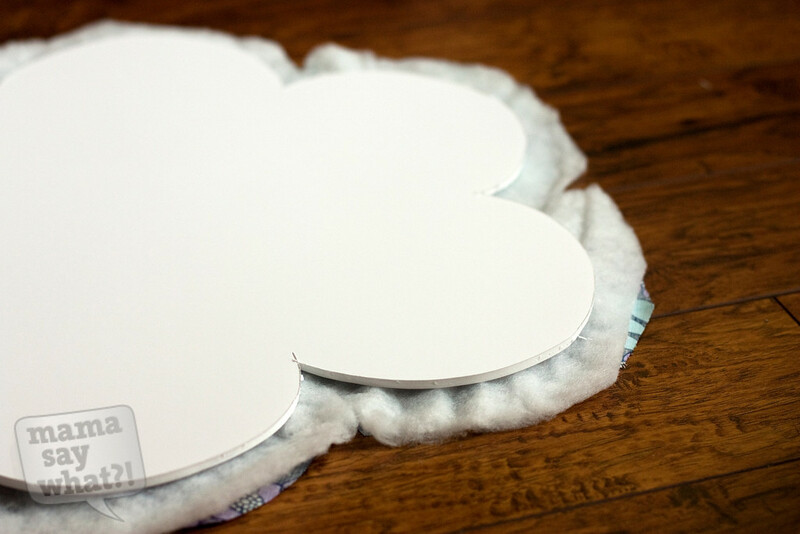 There are a lot of places on the web that show you how to make a DIY ribbon memo board. They’re a fun and easy way to add some color and texture to the decor in your office, bedroom or your baby’s nursery. And it’s also a useful thing to be able to hold postcards, receipts, hair bows, photos, you name it. But 99% of them are rectangles or squares. 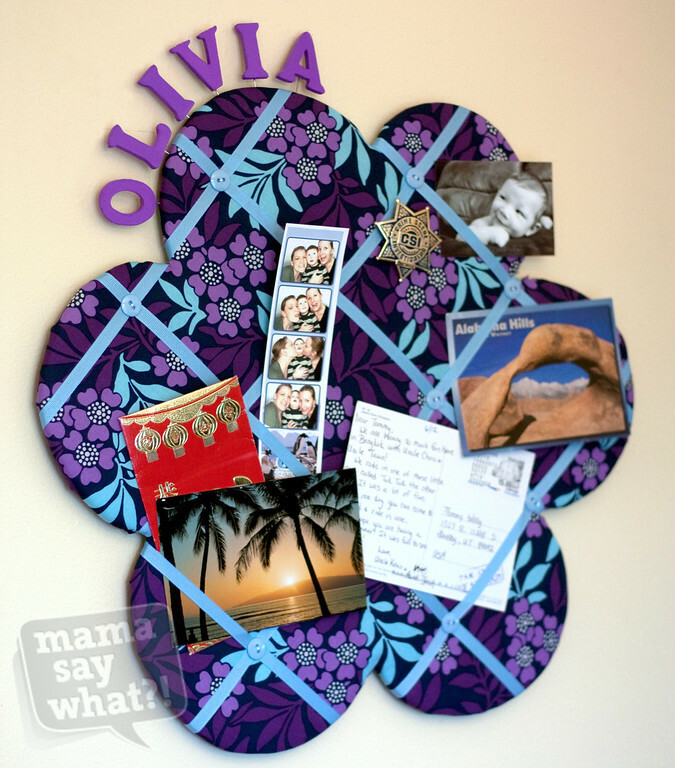 If you’d like to try something a little different, give this fun-shaped memo board a try. 1 piece of foam board in your desired size. The piece I’m using is 20″ x 30″ and has a thickness of 1/4″. Feel free to go thicker if you’d like (available at most craft stores and office supply stores). Quilt batting that’s a few inches larger than the board you want to make. 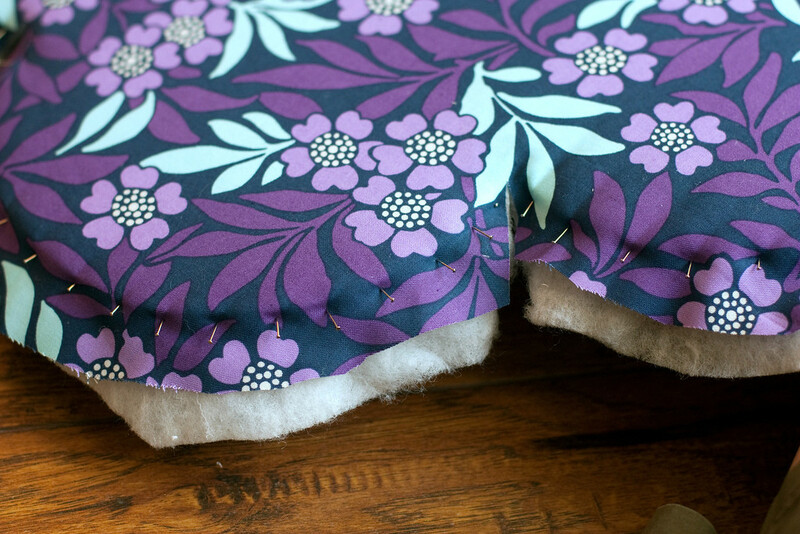 If you’d like the “pillow” look to be a little thicker, use two layers of batting. Ribbon of your choice. There’s no sure way to know how much you’ll need, so I always guess a little high. I used 1/4″ grosgrain ribbon, but you can also use satin. I recommend staying away from wired ribbon. Buttons of your choosing. 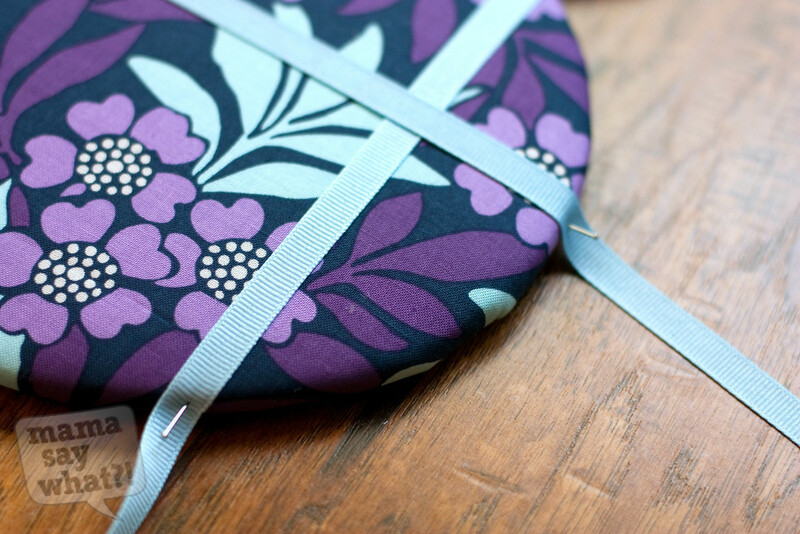 They look best if the buttons are at least the same width as your ribbon or wider. With a pencil, draw the letter or shape you’d like for your board. I did mine freehand, but if you’re more comfortable tracing a shape or letter, print a really large one from your computer. You can print it on multiple sheets of paper to make it large enough. 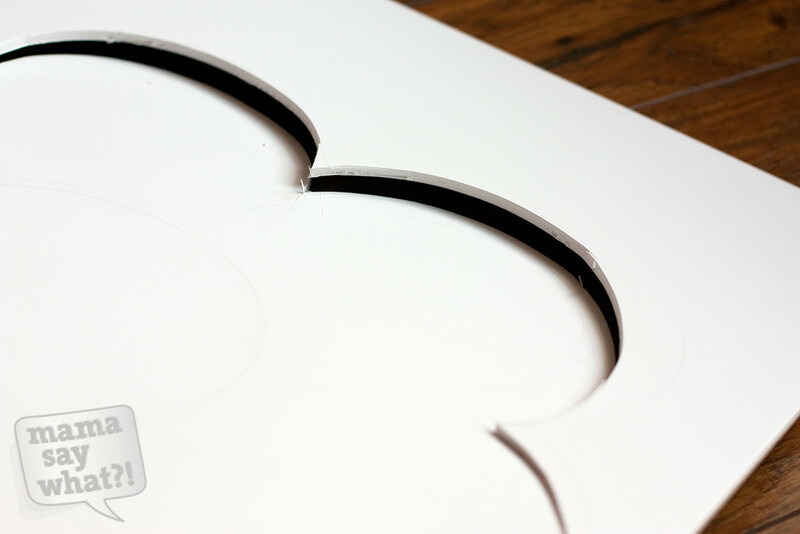 With your X-acto knife, carefully cut your shape out of the foam board. Don’t worry if it’s not absolutely perfect, the fabric and batting will hide tiny imperfections. 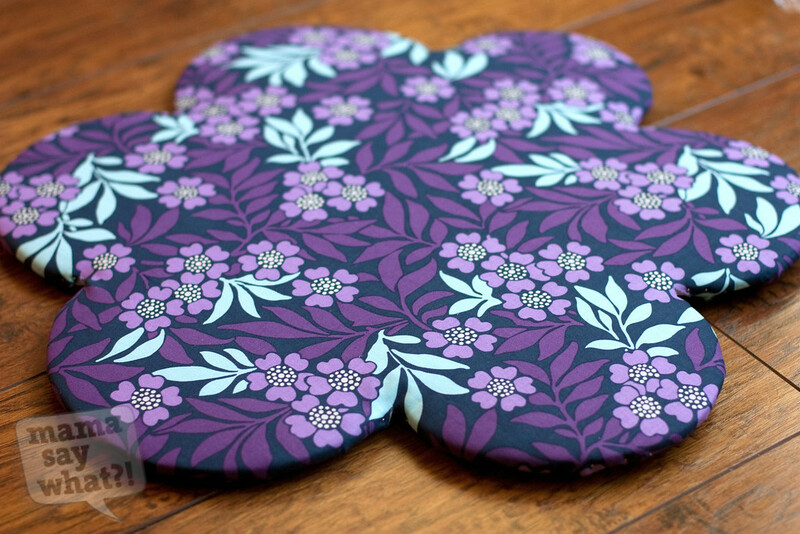 Lay your foam board on top of your quilt batting and fabric. Giving yourself two or three inches around the edge of your shape, trim. Again, this doesn’t have to be super precise, the edges of the fabric will be hidden. 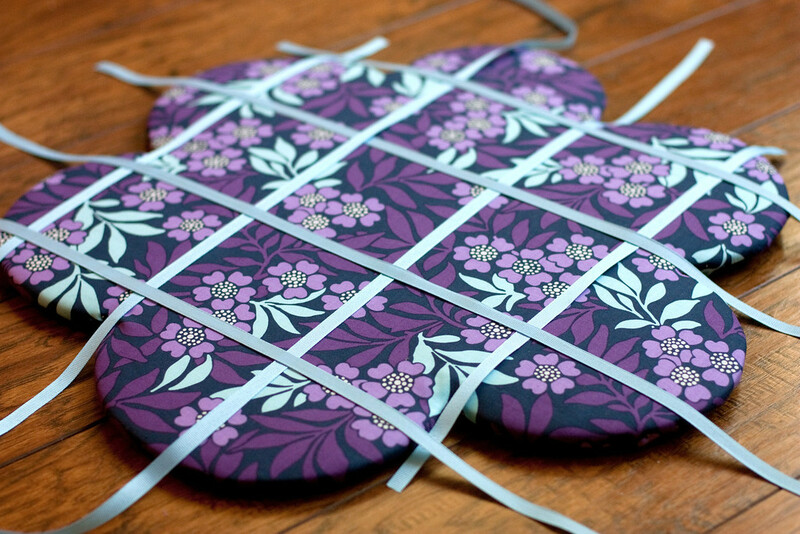 Using your straight pins, pin the fabric snugly around the board along the outside edges, right into the foam. I like to place three to five pins in one area and then repeat on the opposite end of the board. Then repeat going around the board. 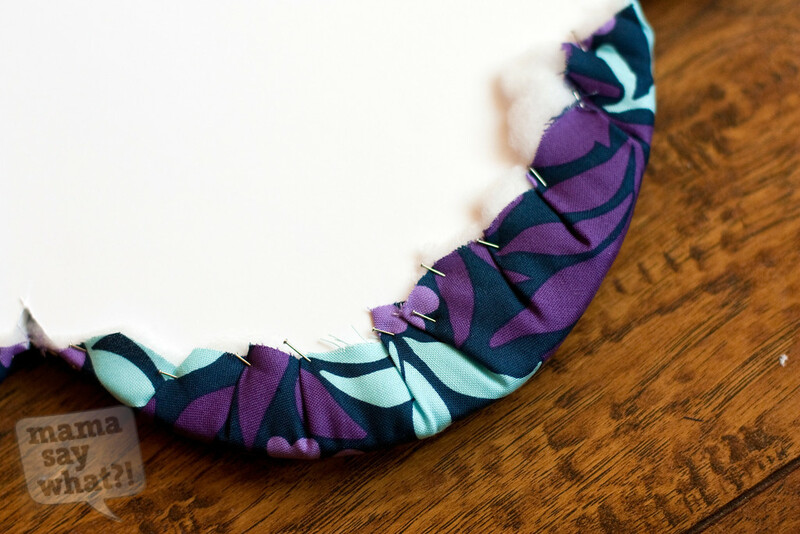 Once your fabric is securely in place, you can adhere the fabric to the back of the board one of two ways: using hot glue or using the straight pins. I tried both with this board and one didn’t go any faster than the other. I think I prefer the pins because the hot glue can get a little messy with the layers of batting and fabric. 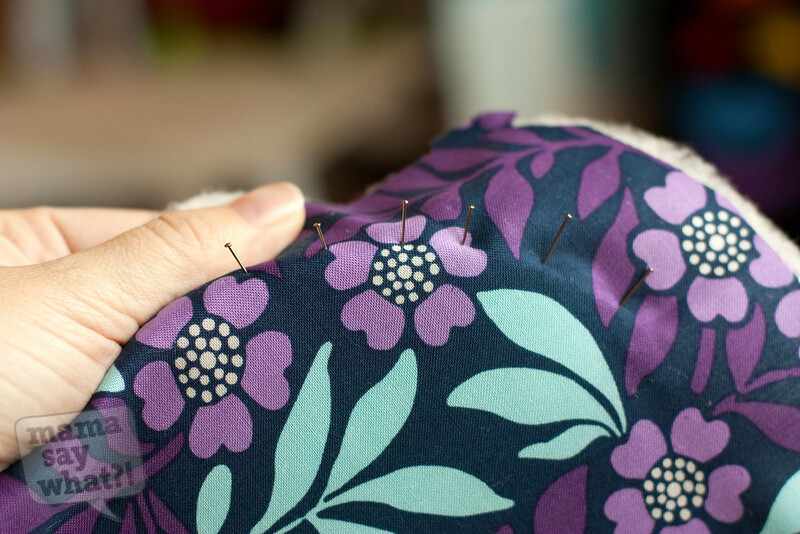 Once your fabric is secured on the back of the board, carefully remove the pins that are in the side. In the little crevices of the board where the fabric wasn’t quite wide enough to wrap all the way around, I left the pins in the side as a little added security. 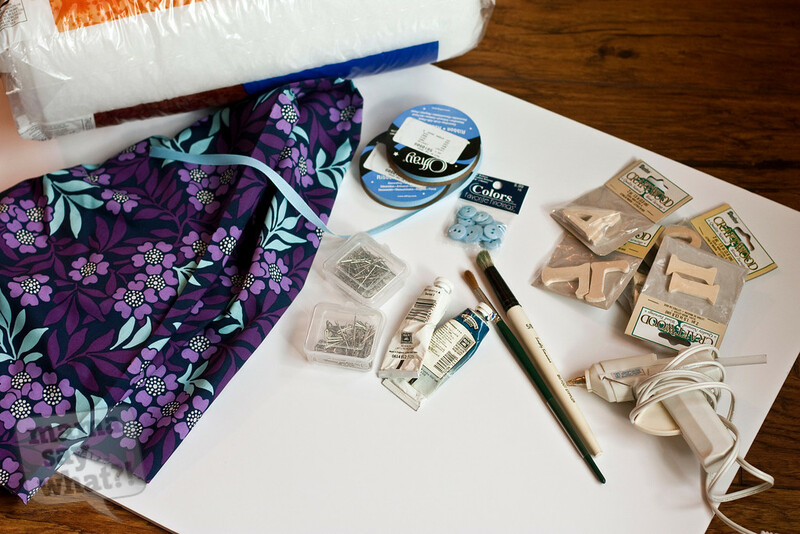 Lay out your ribbon in a criss-cross pattern and pin the ribbon at the sides until you are happy with the layout. It’s not easy to measure perfect 45-degree angles when you’re dealing with a curved shape, so do your best to make them as even as possible. Laying them all out before hand makes it a little easier to eyeball the spacing. Using a couple of straight pins, pin the ribbon to the side of the foam board. The pins will allow you to make little adjustments so the grid pattern is even to your liking. 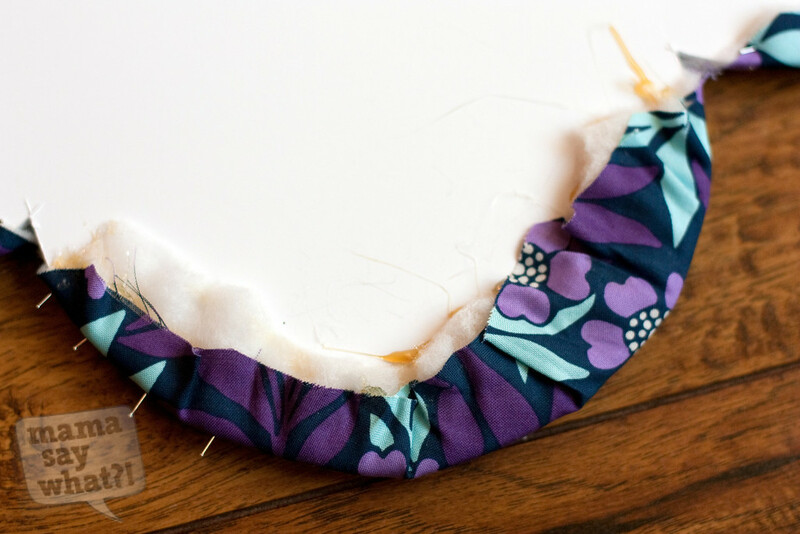 Wrap the ribbon around to the back and use your hot glue gun to secure it in place. Then remove the pins. Make sure the ribbon is pulled snug so it doesn’t sag. 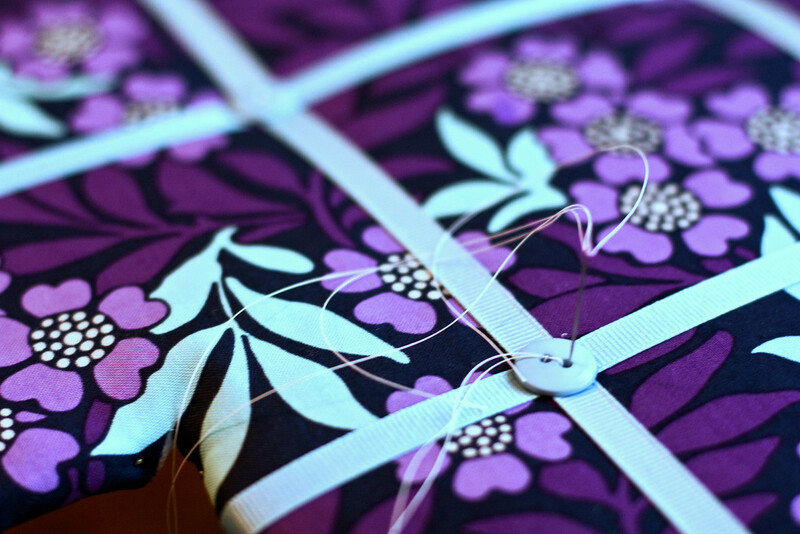 With a needle and coordinating thread, sew each button to the board where the ribbon crosses. Flip your board over and mark two spots about 1/3 of the way down where you’ll attach the plastic rings for hanging. 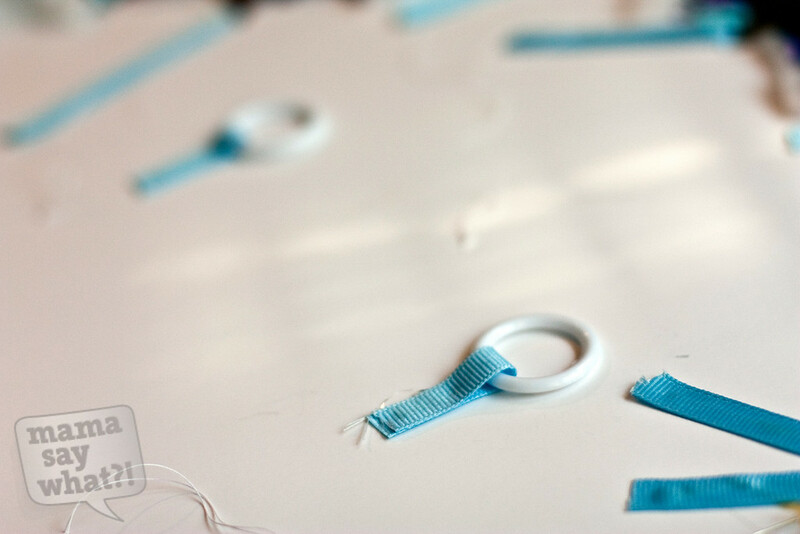 Using two pieces of leftover ribbon and your hot glue gun, secure the rings to the back of the board. Now for the letters! 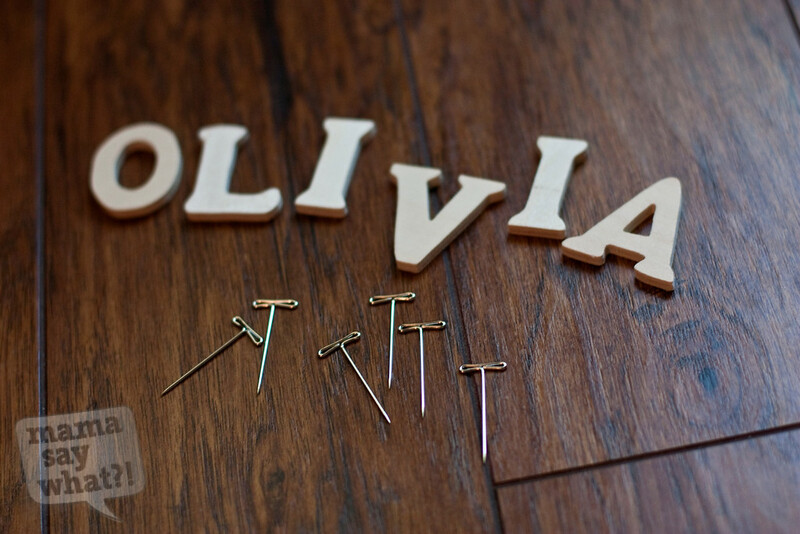 Start by adhering a T-pin to the back of each letter with your hot glue gun, close to the bottom. Try not to let any of the glue show on the sides. You can just use some of your straight pins if you don’t have any T-pins for this step. I prefer the T-pins because of the extra bit of surface area. 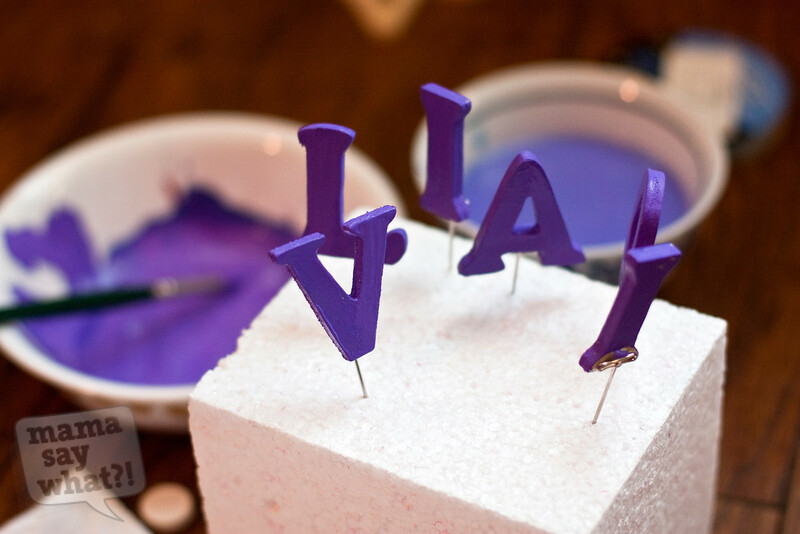 Once the glue is dry, paint each letter with your acrylic paint. Don’t forget the sides. You can poke each letter into a scrap piece of foam board to dry— I just happened to have a piece of styrofoam nearby. After the paint has dried, stick the letters into the side of your memo board, right into the foam, in any place that you desire. Hang your memo board on the wall using two nails that are the same width apart as your plastic rings. Add photos, postcards, ticket stubs, or whatever suits you. For a little girl use the board to hold hair bows, barrettes and hair clips. For a little boy use the board to hold neckties and bow ties. Now step back and admire your work. You can make any fun shape for your board; a star, a planet, a rocket ship, a bow, a boat, a car, a surfboard, a rainbow, a cloud, even a letter of the alphabet! Just make sure it’s large enough that you can adhere a decent grid pattern with the ribbon. Added by Alex T. on August 25, 2012. Wow – beautiful board! Thanks for such clear directions and pictures to match! I love this! Great instructions! This is definitely on my to-do list for both kiddos’ rooms!!! I really love these, thanks for the tutorial! Pingback: TJ's Surfin' Big Boy Bedroom Mama Say What?! | Mama Say What?! This is so neat! Thank you for the idea and really great instructions.